Avoid damage caused by oversized vehicles. 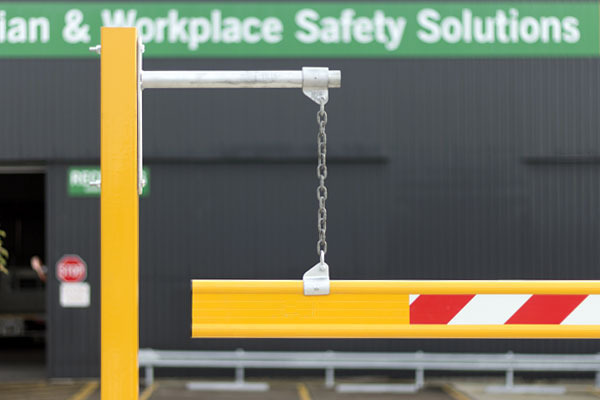 Height bars are yellow Powder coated with reflective face. 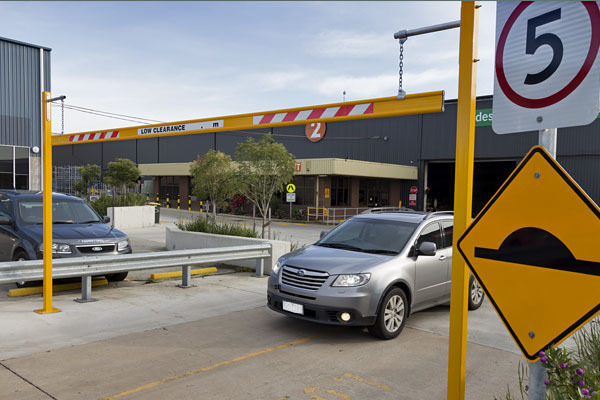 By using Novaproducts Height Restrictor Bars we can help you avoid damage caused to your property and vehicles by oversized vehicles getting into height restricted areas. 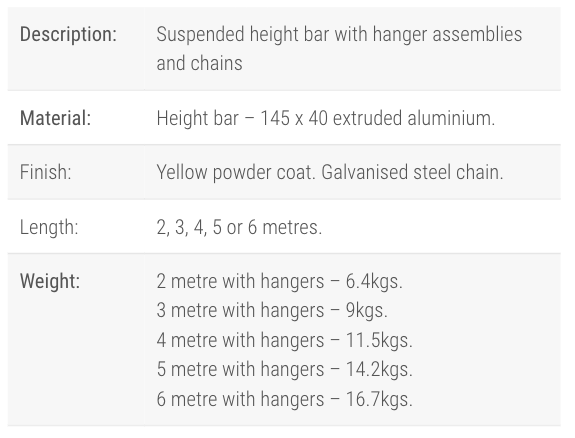 The Height restrictor bars come in five different standardised lengths: 2,3,4,5 or 6 meters. 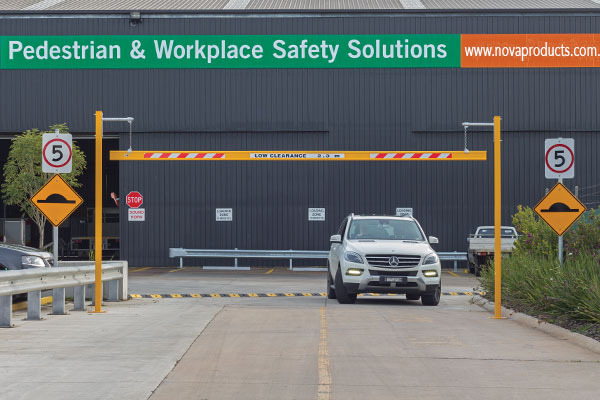 They are powder coated in a safety yellow colour and supplied with reflective diagonal stripes. The text “LOW CLEARANCE” is displayed in a black font on a bright white background. The height label is adjusted to each project.